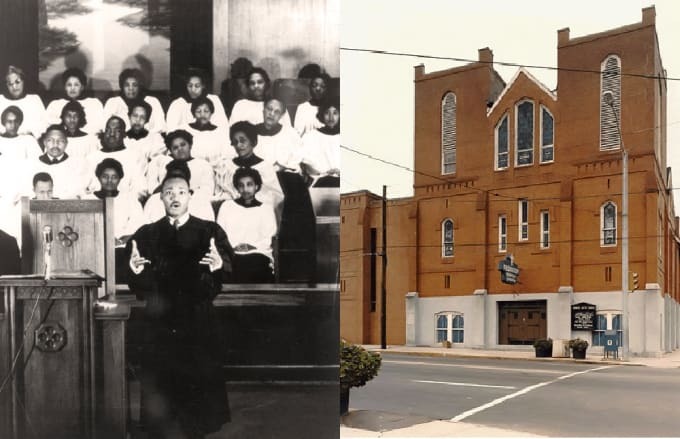 Both Dr. Martin Luther King, Jr. and his father pastored at Atlanta's Ebeneezer Baptist Church. In January of 1957, with the Montgomery Bus Boycott still fresh on the minds of activists, Dr. King invited around 60 black ministers and leaders, including Ella Baker, Fred Shuttlesworth, and Ralph Abernathy, to the church. The task at hand was to create an organization that would achieve desegregation through nonviolent resistance. Through this meeting of the minds, the early groundwork was laid for the Southern Christian Leadership Conference (SCLC). In present day Atlanta, Ebeneezer Baptist Church is one of several buildings surrounding King's boyhood home as part of the Martin Luther King, Jr., National Historic Site. The area joined the National Register of Historic Places in 1974 and became a National Historic Landmark in 1977.